SALE PRICE - SALE ENDS SOON. *Whilst stocks last. 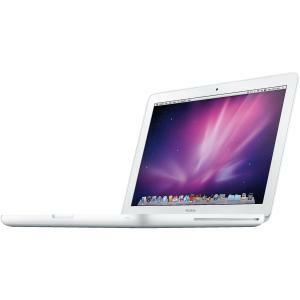 White Apple Macbook Laptop 13.3" 2.4Ghz 2GB MC516BA – Refurbished. 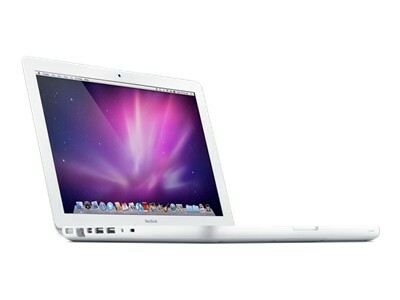 The machine is preinsatlled with the latest Mac OS X 10.9 Mavericks and is ready to use straight out of the box. This is a US model. Powered by 2.4 GHz, Intel Core 2 Duo processor, the Apple MacBook MC516B/A laptop delivers superior performance. 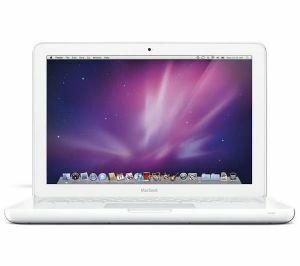 This Apple notebook features an LED backlit screen with 1280 x 800 resolutions, offering crystal clear images with specific details. 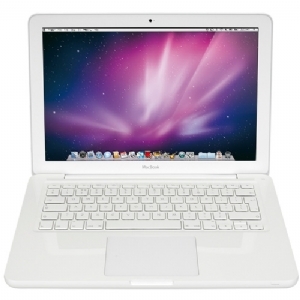 The data processing and response speed of this Apple laptop is super fast, as it features a 2GB DDR3 SDRAM and a 1066 MHz front side bus. Featuring a hard disk drive with large storage capacity and 5400 rpm speed, this Apple notebook lets you store all your data and ensures faster performance. With an integrated NVIDIA GeForce 320M graphics card, this Apple laptop offers an amazing gaming experience with life-like graphics. The button less, multi-touch track pad of the Apple MacBook MB516B/A, with inertial scrolling support, makes navigating through files a simple task.